This entire e-book is copyrighted. On the Web, it is free for personal use, but no part of it may be distributed in any form. Excerpts from the works of Vladimir Nabokov by special arrangement with the Estate of Vladimir Nabokov. All rights reserved. The butterfly on the top page is the Common Blue, Polyommatus icarus (Rottemburg, 1775), male and female, from Hübner 1793-1827. History. The first, tentative, version of this Guide was published in 1993 by the Musée cantonal de Zoologie in Lausanne, Switzerland, as part of no. 1 of their series Litterae Zoologicae. 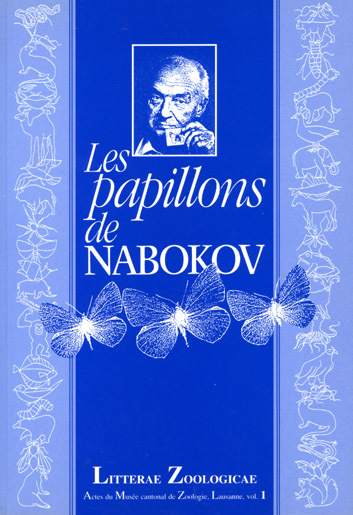 This volume served as the catalogue accompanying an exhibition of "Les papillons de Nabokov" shown from November 26, 1993 to January 29, 1994 in the lobby of the Lausanne cantonal library. Among other material on Nabokov as a lepidopterist, it contained a comprehensive list, by Dr. Michel Sartori, of the 4,300 butterfly specimens of 195 species Nabokov had collected between 1961 and 1975 in Switzerland, Italy and France and bequeathed to the museum. The section containing this proto-Guide was entitled "Nabokov's Lepidoptera: An Annotated Multilingual Checklist". 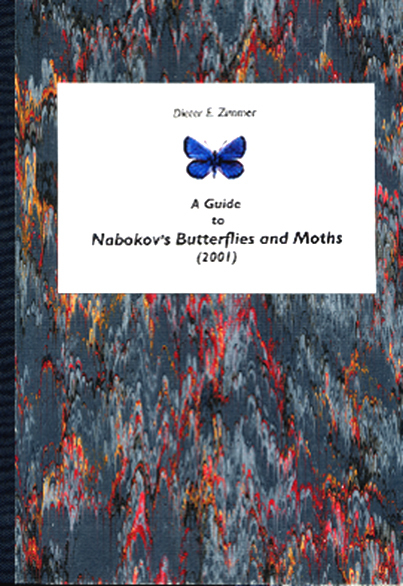 A greatly expanded version of "Nabokov's Lepidoptera" was privately published under separate cover in 1996 and 1998 under the title A Guide to Nabokov's Butterflies and Moths. Then followed a '2001' hardcover version that had been been thoroughly revised, reconfigured and expanded to include all butterflies and moths in all of Nabokov's published writings. This was the book proper. It was reprinted, with minor alterations and corrections, in 2002 and 2003. The total printing was c. 150 copies. It has been out of print since 2004. The present electronic version is basically identical, in content and format, to the last printed version, except for a number of corrections, informational updates and technical adjustments due to the transfer to HTML. The main improvement is the substitution of all the cumbersome little arrows that forced the user to leaf through the book back and forth by active hyperlinks. They should improve the usability. The number of figures has gone up from 147 to over 220. Through the Internet, it would be feasible today to have appealing live photographs of many of the species in this Guide. I decided to stick with the former figures that mostly come from old butterfly atlases. It is there that Nabokov saw the coveted Lepidoptera pictured in his youth.